It’s very quick and easy to share files via email. However, it isn’t ideal to use your email as permanent file storage, especially because that data could get lost or cause you to exceed storage limits. We’re going to show you how to bulk download all of your email attachments. We can collect together all of your email attachments from services like Gmail, Yahoo, and Outlook How to Set Up Email Filters in Gmail, Yahoo Mail, and Outlook How to Set Up Email Filters in Gmail, Yahoo Mail, and Outlook Email filtering is your best tool in keeping your inbox neat and organized. Here's how to set up and use email filters in Gmail, Yahoo Mail, and Outlook. Read More , then store them safely on your local system. There’s a variety of methods that you can use, dependent on your email provider, so check out the options below and see what suits you. If you have your own method to share, please let us know in the comments below. If you use the Office version of Outlook to receive your emails, you can use a macro to download your attachments. This is quite simple, so doesn’t offer any advanced features, but it’ll get the job done effectively. To begin, download the mAttachmentSaver macro from the official Office page and extract the ZIP. Open Outlook and press Alt + F11 to launch the VBA Editor. Press Ctrl + M and navigate to the folder you just extracted. Select mAttachmentSaver.bas and click Open. Press Ctrl + S to save, then close the VBA Editor. Back in your inbox, search hasattachments:yes to limit the emails to only those with attachments. Outlook is full of handy filtering techniques like this 6 Best Practices for Outlook to Boost Your Workflow 6 Best Practices for Outlook to Boost Your Workflow If you spend any serious amount of time using Outlook, you should investigate your workflow. Make your email work for you and save time for more important tasks. Read More . If you want to select all the emails, press Ctrl + A. If you want to select those in a range, hold Shift as you click the beginning and end. Alternatively, hold Ctrl as you click to select individual emails. When ready, press Alt + F8 to open the macros window. Select ExecuteSaving and click Run. Finally, select the folder that you want to export to and click OK. The Save Emails and Attachments add-on for Gmail will export your attachments to Google Drive. What makes it stand out is that it’ll automatically do it every hour, meaning you never have to worry about manually performing the process ever again. Head to the add-on page and click the Free button. This will open a Google Sheet. It’ll need your permission to run, so agree to this if you accept the terms. When done, go to Add-ons > Save Emails and Attachments > Create New Rule. Here you can define specific filters, like sender, subject, and received date. If you simply want attachments, use the Label drop-down to select your inbox, tick only Save file attachments, then click Select Drive Folder to choose a destination folder (you’ll need to create a folder on Drive if you don’t have an existing one to choose). Once done, click Save. Click Run Manually > Run to have it run immediately. The Sheet will populate with information on what’s being downloaded to your Drive. Of course, you can always go to the Drive folder and click Download there to save a local copy of the files. Mail Attachment Downloader is a handy tool because it works across a variety of email providers The 6 Most Popular Email Providers Other Than Gmail and Yahoo The 6 Most Popular Email Providers Other Than Gmail and Yahoo Each email provider listed here offers different benefits, but each of these email services is also highly popular with its users. Read More . The only downside is that there are some features which you can only get in the paid version. This includes being able to apply multiple filters, transform data, and support for Exchange accounts. Find a full comparison on the program’s licensing page. Download the ZIP, extract it, and run the installer within. Click Settings. Here you can Choose mail server, so whoever provides your email, then input the Account and Password. Pay attention to the black bar at the bottom as this contains important information — for example, for AOL you need to enable POP in your email settings. When ready, click Test Connection to do just that. If it doesn’t work, make sure you’ve enabled POP/IMAP as appropriate and that your account name and password are correct. Once you’re good, click Save. Change the Save location if you want the attachments to output to a different folder. You can customize the program further through the tabs. For example, on Folder/Files you can limit the search to selected folders, on Search you can define a date range, and on Filters you can specify things such as the sender or subject line. When ready, click Connect and Download. If you want a tool that works for the majority of email services and has a vast array of customization and filter options, we recommend Mail Attachment Downloader. However, if you don’t need anything as fancy and are using either Office Outlook or Gmail, the other tools outlined here will serve you well. If you’re looking for more, check out how to avoid problems with Apple Mail attachments 4 Tips for Avoiding Common Issues With Apple Mail Attachments 4 Tips for Avoiding Common Issues With Apple Mail Attachments Email attachments can run into all sorts of problems. Here's why this happens and how to avoid attachment issues in Apple Mail. Read More . Have you successfully used any of the methods listed here? Do you have your own method to share? Explore more about: Download Management, Email Tips, Gmail, Microsoft Outlook, Yahoo Mail. I'm shaken to the core... fantastic and elegant! Thank you! This is amazing! You saved me so much time! Thank you. There is a recent alternative solution for the dropbox owner provided by an email hosting provider: servermx.com that we have used to download automatically the attachments and makes safer the download itself. We got an email account and the provider automatically upload the attachments in Dropbox. We use a dedicated Dropbox account that is installed on a basic pc with two different antiviruses. So every file syncronized affected by a virus is being deleted/quarantined and the local Dropbox folder collects only clean files. It's a lovable utility because the process that uploads the file is server side based and you get the attachments even if you do not open the email. At the beginning we use IFTTT , but it's better this solution for us ..just a single email without any setup . Nice write-up. I ended up using the Mail Attachment (www.gearmage.com) program you mention here in my company to extract attachments using Exchange to pass to our invoice processing software that extracts order information. It looks like they recently added support for Exchange which I am happy with. Now if only I could find something that could avoid sending those invoices through email, that would be great too :-). But email IS the common denominator, isn't it? Yes, there are other services that do the trick for sharing files and other such, but they pose issues with security or permissions or lack providing context. Oh well. 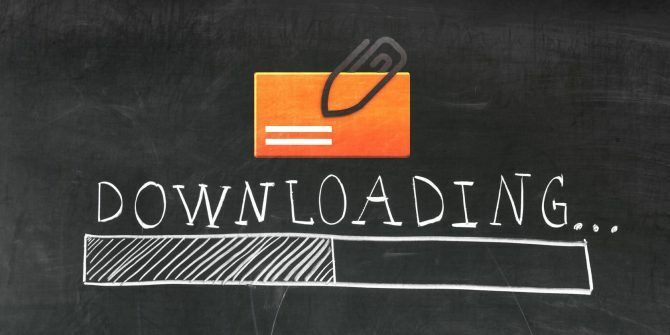 u r a chutiya if u do this..
is it secure to use this downloader or addon. i mean we are providing our credentials to it, so is it secure?? how i can dowload it plz ? I use EZDetach, an Outlook add-in ( http://www.techhit.com/ezdetach/outlook_attachments.html ). It looks like it has similar functionality as the Thunderbird plugin you wrote about. Do you really think it wise to go opening multiple attachments at once? A good way to get yourself protected from emailed viruses is to have a solid anti-virus software (otherwise you'll get a virus in any case: by downloading attachments one by one or in bulk).